The following pictures are of various views of South Lane from the 1930's through to the 1970's, this twitten is still here today but no longer has a name. 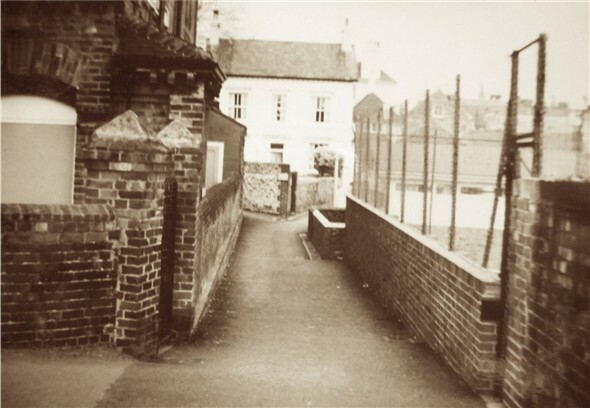 This little lane ran from Dacre Road opposite South Road, and through to the High Street.The first view was taken in Dacre Road now South Way in 1969, demolition of the old Meeching Infants school has started and this site is now a section of South Way. 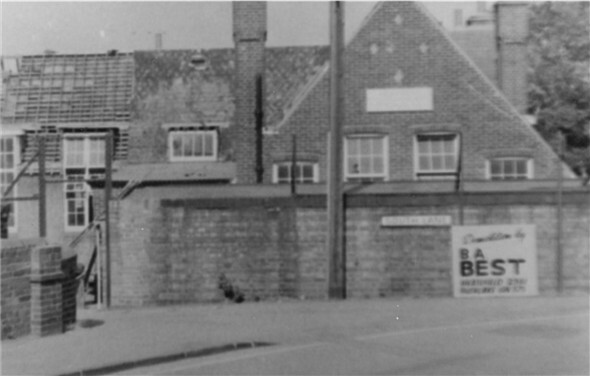 Back to the twitten I can remember a cabin along South Lane in 1971, I believe it was used as a temporary health centre whilst the new premises were being constructed in Chapel Street. 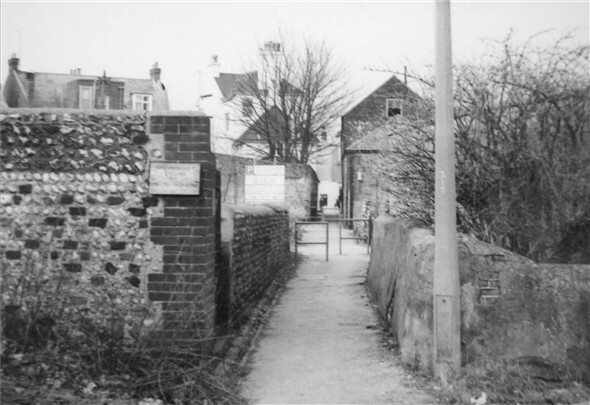 A large detatched house known as Sidney Cottage built in 1851 could also be found in this lane, unfortunately, this building was demolished in 1970, a sign of the times! This page was added by Laurie Stonehouse on 03/08/2009. 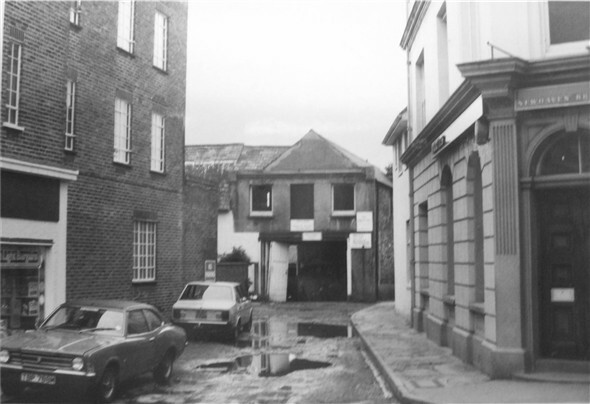 The Building in the middle of the bottom photo was Bannisters Builders offices and yard. I started work there in August 1961 as an apprentice carpenter. 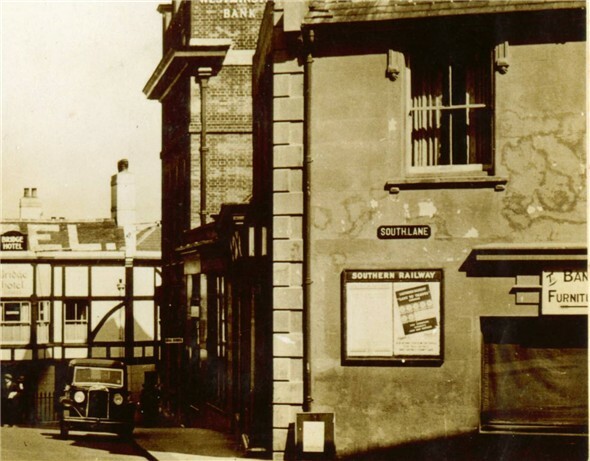 The top windows and door were the joiners shop, the right hand window was the area used by George Cohen who was the jobbing carpenter. 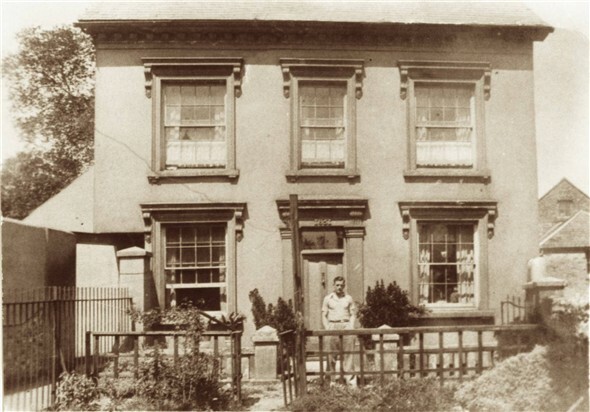 He did all the repair jobs to houses, he always seemed to be working in Gibbon Road. I had to stand at that window for hours sharpening handsaws and daydreaming my life away. If he needed a hand I used to have to go with him on his BSA 250cc motorcycle and sidecar, which was fun.